Start on Soil: Hill Country Land For Under $50k. 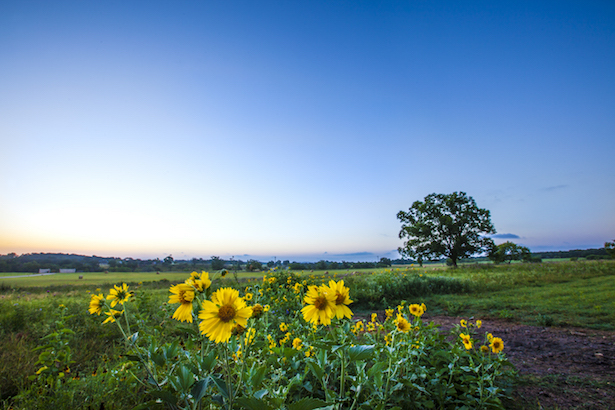 The Hill Country’s wild wide-open space certainly can’t be tamed...but owning your very own piece of it allows you to steward your own little corner of Texas beauty! And while some may see buying an open plot of land might as a rather uninteresting financial venture, the possibilities for development truly go as far as your imagination allows. Purchasing land that “just sits there” isn’t boring...in fact, it can earn you extra cash flow by merely existing in your possession! Owning a piece of land means you’ve invested in the real estate market with the smallest amount of maintenance and upkeep. Work smart, not hard, right? To prove it, we’ve put together a list of some of the available plots of land in the Texas Hill Country area...all for under $50,000! This .34 acre lot in Canyon Lake is perfect for a manufactured or modular home in this neighborhood of Deer Meadows. The trees in the back make for a fun place to have the kids explore or for a pleasant stroll through the woods, all without leaving the property. The neighborhood is well-kept and only minutes from Cranes Mill Marina, Cranes Mill Park, and several public docks. There is a community pool and park for residents of Deer Meadows so that the family can enjoy some neighborhood fun. Everything has been cleared, and the electricity is ready for building, all for a steal of a price! Looking for a lot in the coveted Ensenada Shores neighborhood? Take a look at this one-acre lot in walking distance to Canyon Lake. The ground has been leveled and is ready for building your next dream house or summer home to invite friends and family out for a weekend at the lake. The Ensenada Shores neighborhood is a gated community with a pool, clubhouse, fishing pond, jogging trails, park and playground near the water for all residents and guests to enjoy. The wide-open space allows for an abundance of natural light to come into the house, so consider adding some oversized windows to your living room walls for a stunning light in the mornings and evenings. If you want a piece of property with a lot of trees, then you must take a look at this plot in Canyon Lake Acres. This land is ideal for the buyer who wants that Texas Hill Country lifestyle in one of the faster-growing areas. Set up right next to Sorrel Creek and have Canyon Lake lay to the south when you purchase these two lots, which run street-to-street, giving you a little inspiration for design on the sides of the house. There is a 35-acre gated park, community pool, and access to the lake. Want Hill Country living close to Canyon Lake? This corner lot features beautiful trees, level to slight slope, and a wonderful location. Owners will have access to the 35 acres gated park, community pool, and Canyon Lake. The Guadalupe River isn’t far away, and shopping is a short drive from here...not a bad commute if you work in New Braunfels! We would suggest acting fast on this property because it is too good to pass up. For a mere $8,000, invest in land in one of the upcoming areas to sprout outside of the New Braunfels city limits. Resting in the budding neighborhood of Comal Hills is this modest 0.2-acre piece of land on Indian Colt. Conveniently located next to shopping, groceries, and other essential stops, this property is ideal for the family who wants to build a home to raise kids, or for the older family who wants to finally settle into Hill Country life with a fresh slate to create their dream home. This is right next to Highway 281 and FM 306 for easy access to New Braunfels and San Antonio. We can’t get enough of this stunning piece of land offered in Spring Branch. Not only is it nearly 2.5 acres, but it has got one of the most breathtaking views of the surrounding area. Build a large two-story home with large windows to allow in natural light to illuminate the living areas, and in the morning see the dew settle on the trees and rest in the fact that you live in one of the best places on Earth. There is enough space to invest in an outdoor patio area, a swimming pool, and possibly a walking trail for meditative strolls in the evenings with a glass of wine and a good friend. Fischer is one of the hidden secrets of the Texas Hill Country, and this one-acre lot in the Summit Estates neighborhood is going to move quickly. The lot is mostly cleared with plenty of hardwood and evergreen trees to keep around for some shade. The neighborhood is a gated community far off the beaten path, even for Hill Country standards, and the roads have fun names like Stars and Stripes, Freedom Street, and my favorite, and Let’s Roll Drive. Invest in this property before the word gets out that Fischer is the next spot to build your "forever home". There is something historical and spiritual that happens when someone owns a piece of land. We only have so much of it here on Earth, and since it isn’t making any more, it is quite a rare item. Whatever you may have planned for a plot of land, we would love to be a helping hand! Whether it is helping you find just the right spot to build a house, walking you through the buying process, or setting you up with a lender to get you going, we are here to help! Get in touch with an agent today to start the process!